The land of the Dragon King is blessed with natural richness irrespective of whether relatively contemporary city escapes or the pristine remote country sides. The entire country is indeed blanketed by nature, with sparsely populated rural areas proving even more appealing. Simply riding through the rural districts or better still exploring the terrain on foot is a delight. 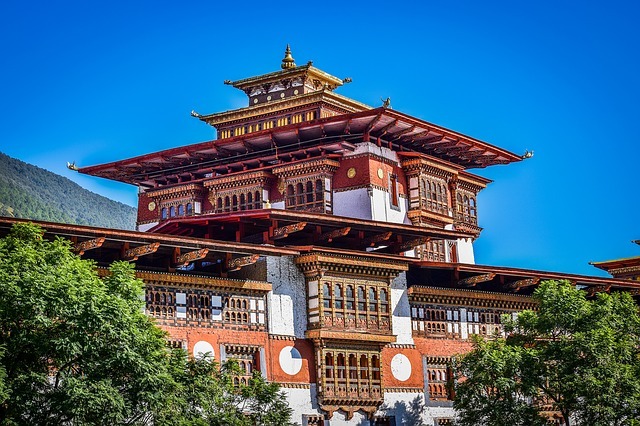 There are exclusive Bhutan Tour Packages that take visitors on walking, hiking or trekking and other adventure trips that span some of the most scenic rural settings. Do make sure that your tour itinerary includes at least some of the most popular adventures in the rustic locales in Bhutan. Given that access to Bhutan is not that easy, use the opportunity to best explore this wonderful dream destination. 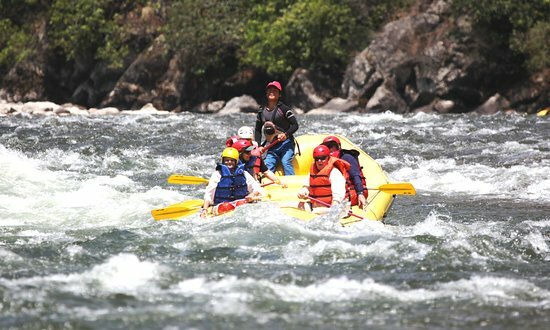 Home to six main rivers fed by waters from thawing Himalayan glaciers, Bhutan proves an ideal destination for whitewater rafting and kayaking enthusiasts. Racing through rugged mountains and pristine valleys and plains, the rivers from Bhutan flow into the mighty Brahmaputra. Challenging courses and relatively calm zones offer a great opportunity for seasoned professionals and amateurs to experience the thrill of journeying through scenic terrain on these gushing waters. Typical sorties along the Pho Chhu and Mo Chhu run around the Punakha Dzong before the rivers merge further down the course. 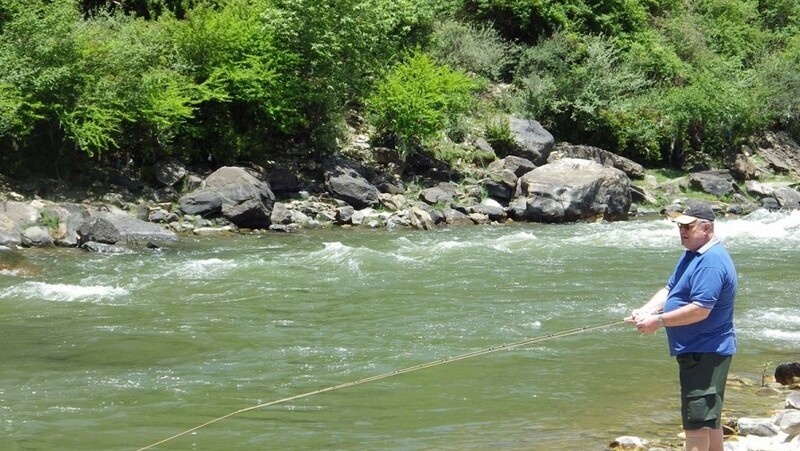 Paro Chhu and Mangde Chhu are also popular kayaking, rafting courses. Choose the course that best suits your expertise and interests. The extremely picturesque terrain of Bhutan presents its own set of challenges for adventure junkies. Rock climbing is one extreme activity that tests resilience of the climber. Made popular since the late 1990’s this activity is quite popular, with professional training, guidance and gear offered by the Vertical Bhutan Climbing Club. You need not go in search of a perfect rock for there is one right outside Thimphu which has been outfitted with safety bolts along 13 different paths ranging from 12 to 27 meters in height. Difficulty levels of these climbing routes on “The Nose” cater to amateurs and seasoned climbers alike! Replete with stunning panoramic visuals, there’s no better place than Bhutan to try your hand at paragliding. Flying through the cool mountain air to catch a bird’s eye view of this picturesque terrain is a unique experience altogether. Skim the canopy of forested terrain and smaller hills, as you glide through the space above scenic valleys before a soft touchdown. If you are not confident gliding solo, team up with a friend/family member or check if there is an instructor who can fly with you to make the experience less daunting! Bhutan is a paradise for trekking and hiking enthusiasts with several scenic trails running through the rustic settings. 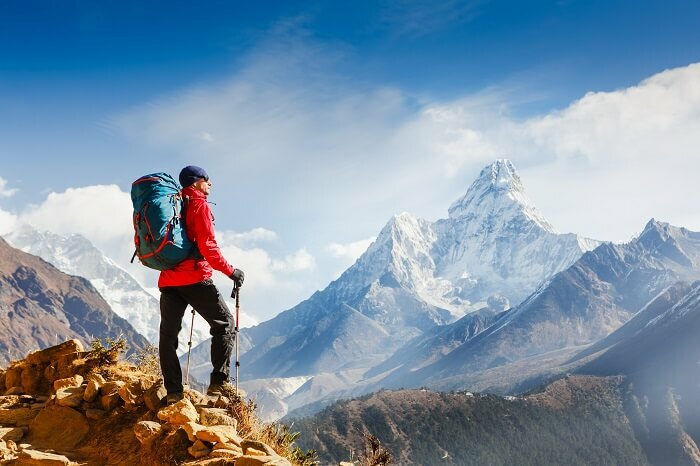 Trekking is in fact the best way to appreciate the natural beauty of this land. Winding through mountainous terrain, forested landscapes interspersed with crystal clear lakes, and a myriad of quaint villages trekking routes take you to some of the most pristine settings of Bhutan. A day’s trek or one that spans one month or anything in between, tour packages are available to cater to diverse preferences. A great choice of trekking/adventure Bhutan tour packages is available for enthusiasts. Cycling through the immensely beautiful stretches of Bhutan is actually a quick and easy way to navigate the terrain, enjoying the picturesque settings at a comfortable pace. Cycling trails on and off the paved roads add to your adventure. While it is definitely a breeze to course through the smooth roads, the thrill of hitting dirt trails and tackling rough ground off the beaten track is equally a pleasure. You can take a break, revel in the beauty of the locale, observe wildlife and pass through tiny villages and temples on your tour. If it is tough terrain that challenges you, opt for mountain biking to test your resilience and skills and get rewarded with some stunning views of the lush surroundings. 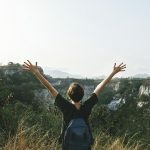 These tours may typically involve a bit of hiking as well. Cycling tours are accompanied by vans where cyclists can catch up on some rest when travelling long distance. Be it a short solo ride on paved roads or days together on longer tours, cycling is a relatively cool, enjoyable and safe activity. A tryst with local wildlife is yet another enjoyable adventure for those who wish to play is safe. Sign up for wildlife safari through the Royal Manas National Park here to sight some of these high-altitude fauna in their natural habitat. Tigers, Leopards, Black Bears and Asian Elephants are but few of the species you can spot on this tour. Does fishing really qualify as an adventure? Check out when you try your hand at it at the lakes or even rivers in Bhutan. You can even learn the art of Fly fishing from your local tour guide. Do make sure you get a fishing permit though. There are several other interesting activities that you can, or rather must indulge in when touring Bhutan. Learn Archery. It is the national sport and is popular across the villages in Bhutan. Local festivities include archery competitions where everyone is allowed to participate. Soak in hot springs characteristic of mountainous destinations such as Bhutan. Rich in minerals and healing properties, a hot spring bath can prove an adventure in itself. Though daunting, take that walk on the longest suspension bridge in the country. This seemingly fragile, handmade, centuries-old structure linking Punakha Dzong and the neighboring villages is still very much in use even today. Bhutan travel is a precious experience. Make it more memorable by adding a touch of adventure, be it demanding or relaxing!